Salad in a jar is an easy way to work more vegetables into your diet and eat them at your convenience. For a week of veggie-filled lunches, prepare and refrigerate several salad jars at a time. Salads made of non-starchy vegetables like the ones included in this recipe are generally low in calories. However, salad calories can vary depending on the type and amount of salad dressing used. Follow this recipe to create a fresh, flavorful and dressing-light salad. Use this basic ingredient list or substitute with your favorite vegetables to create a salad-jar recipe customized to your liking. In a clean 16- to 24-ounce mason jar, add olive oil (dressing*). Place cucumbers, carrots and peppers (or other hard vegetables) into the jar to form the first layer. Top the first layer with tomatoes (or other soft vegetables). Fill remaining space in jar with leafy greens. Shake jar, toss salad into a bowl and serve. *Alternative dressing: Mix 1 tablespoon olive oil with 2 tablespoons red wine vinegar or lemon juice, and a pinch of salt. Nutritional Information: Vegetable mix (per 2 cups serving) Calories 50, Fat 0g, Carbohydrate 10g, Protein 4g. Dressing (1 teaspoon olive oil): Calories 120, Fat 14g, Carbohydrate 0g. 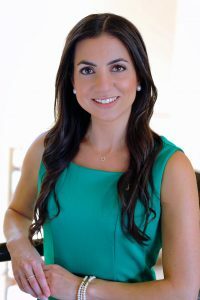 Lucette Talamas is a registered dietitian with Community Health at Baptist Health South Florida. She holds a bachelor’s degree in food science and human nutrition from University of Florida. With additional experience as a clinical dietitian, Lucette enjoys providing practical nutrition information to promote healthy lifestyles that can help prevent and manage chronic diseases. Her expert tips and advice have been featured in print and broadcast media, including Miami Herald, CBS Miami, Telemundo and Univision. Active in professional nutrition organizations, Lucette was recently honored with the 2018 Recognized Young Dietitian of the Year Award from the Florida Academy of Nutrition and Dietetics.